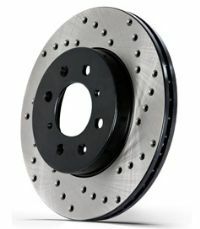 ModBargains.com provides StopTech Drilled Replacement Rotors for BMW E90/E92/E93 M3. Call to speak to one o our Modification Experts @714-582-3330 to save today. Upgrade your F80 M3''s braking and enhance the aggressive look of your car with a set of Centric Drilled Replacement Rotors. 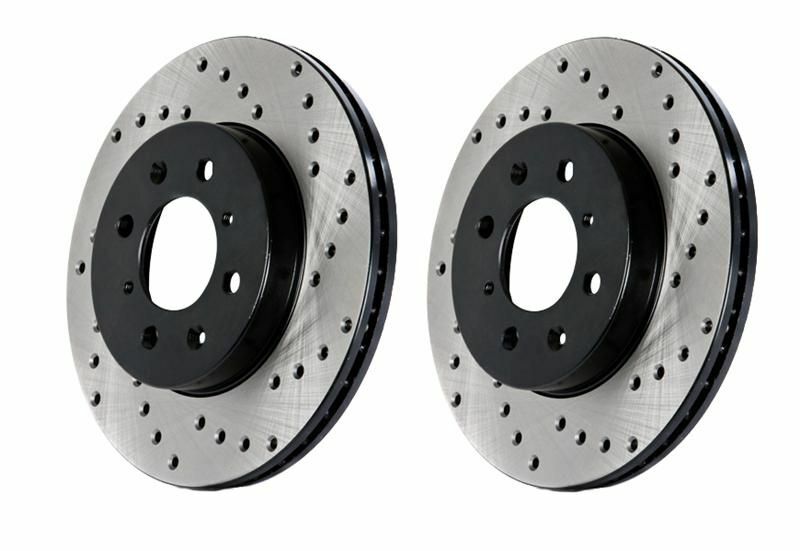 F80 M3 Centric OE-Type Cross Drilled Rotors feature OEM quality fit and finish at a fraction of the price. Centric F80 Drilled Replacement Rotors simply replace your existing rotors and require no additional parts for installation and feature the same cross drilled pattern as came stock. Improve the braking and exterior appearance of your vehicle with a set of F80 M3 Centric Drilled Replacement Rotors. Please note the F80 M3 Centric Drilled Replacement Rotors are sold in pairs. Offshore economy competitors use fewer cooling vanes and less gray iron material. 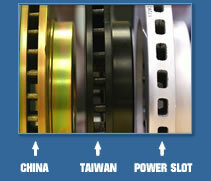 With less mass available to absorb heat, these rotors will eventually warp under hard use. Do not compromise quality and safety!